The taxman seems to have turned to private equity funds this year to increase his transfer pricing kitty. 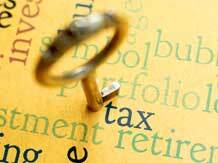 Several Indian fund managers have received heavy tax demands for services rendered to their foreign parents. While the taxman says the PEs are offering merchant banking services and comparing their staff costs with the commission earned by merchant banks for deals, the funds are arguing these are ancillary services and cannot be compared. Last year, the income tax tribunal at Mumbai had held in the case of Carlyle India Advisors Private Limited that the comparable companies selected by the taxpayer cannot be rejected by the transfer pricing officer (TPO) without providing any cogent reasons. The tribunal also observed that the comparables selected by TPO were not functionally comparable, by virtue of being engaged in merchant banking, earning syndication fees, issue management fees, brokerage commission, underwriting fees etc. In this case, the TPO had compared the services provided by Carlyle India with that of financial services firms such as Edelweiss Capital, Centrum Capital, etc. However, the ruling itself has not deterred the tax authorities from exploring similar issues with other funds. Lawyers said there have been times when the tax authorities have had the transfer pricing adjustment done at almost four times of the profit margin declared by the Indian advisor. Such claims have at times led to a situation where the offshore manager draws lower amount than the Indian advisor due to the transfer pricing adjustment being done on assessment, without giving credence to the functions, assets and risks assumed by the offshore manager. “The documentation has to be impeccable. Otherwise, we will land in trouble,” said a senior official with a Delhi-based fund. Many local arms of PE funds are revisiting their agreements with their parents and ensuring that the right words are used at right places to describe the services they provide to avoid claims in crores of rupees and potential litigation. Ajinkya of Khaitan added the rise in number of transfer pricing cases is largely due to the absence of having listed comparables in both the data bases, which are to be used to for undertaking the transfer pricing study.